Bright and inviting townhouse ready for you to move in! 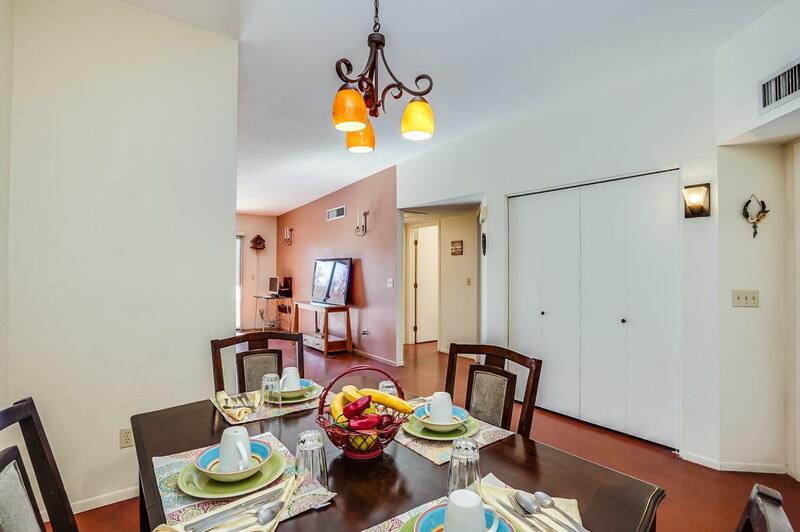 This home has 2BR/2BA and a dining area. Spacious living room w/high ceilings and fireplace. Lots of cabinets & pantry in the kitchen. Dining area off the kitchen. 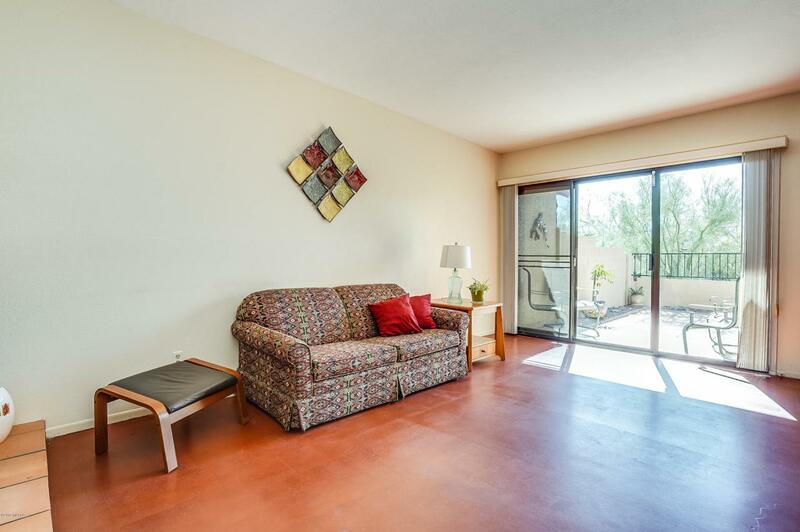 A sliding door opens to a bricked/covered back patio; no neighbors behind. 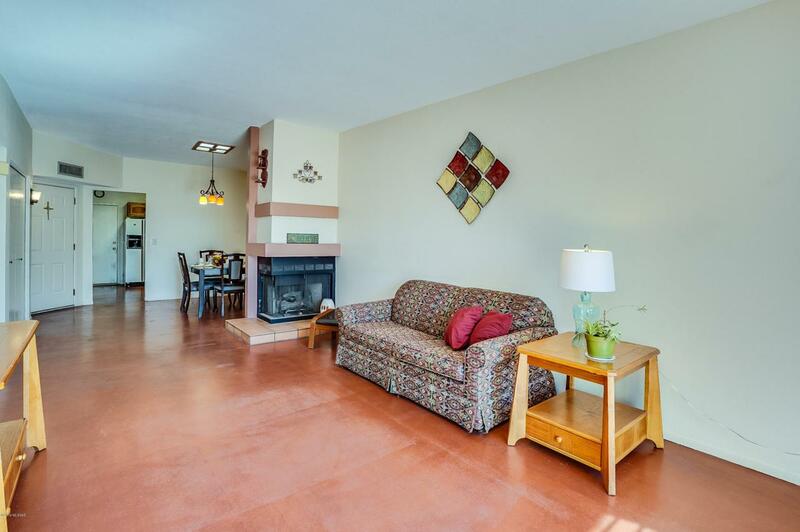 Easy to maintain colored-concrete floors throughout. Washer/Dryer located in the 2-car garage are included in the sale. New roof in May/2018! 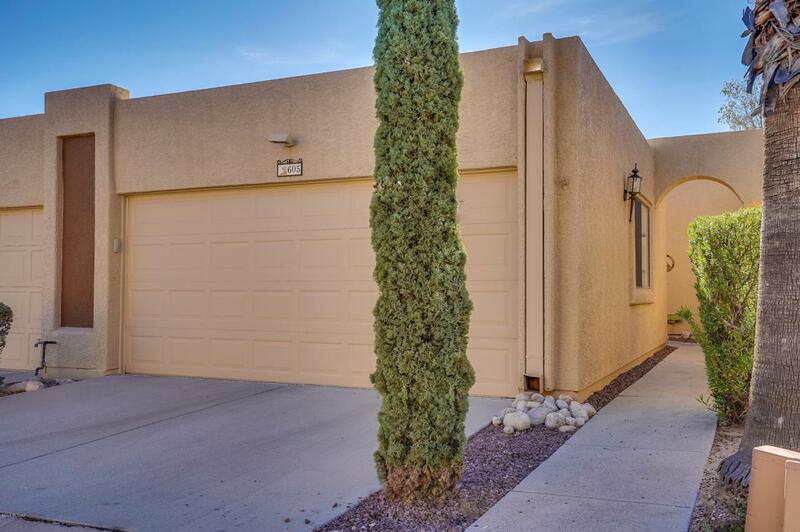 Plenty of guest parking close by!The home is located in the Sunset Ridge Townhomes community. It's a hidden gem on Tucson's Northwest side. Year-round amenities including the clubhouse, fitness center, heated pool/spa, and many fun social events. HOA dues cover common areas, landscaping, trash, exterior paint, pest control/termites...and more.